Any chance you know where he got it? 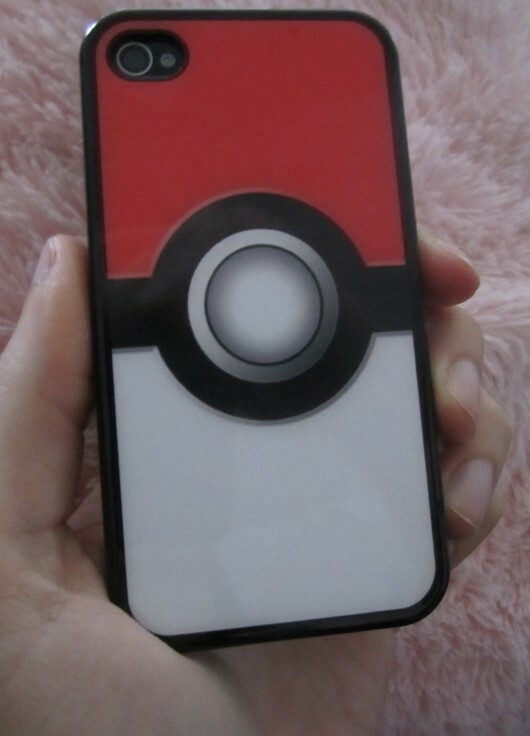 Because Pokeballs are pretty much the best thing to adorn a phone with. Aw man my jaw just dropped so hard it hurt. Do they make one for a Droid? Here’s one for iPhone. Still looking for Droid. He said he found it on Etsy, though I’m not sure which seller. To text them is your real test. To sync them is your cause. A gift from your boyfriend! Pokephone, gotta sync them all! It is always nice when people get you. I have a girlfriend who plays MTG with me. You can design your own phone cases here. I’ve been pretty happy with them, though when I designed mine I didn’t see it mentioned anywhere that there would be a tiny white “skinit” logo on the final product (which I would have designed around, had I known), and getting them to answer a simple question (what’s the DPI of the printer, so I can design my image at the proper resolution?) was like pulling teeth. It looks an awful lot like the Unova Pokedex, which just makes it even more awesome. You young people today, I can’t understand a word you’re saying. What happens when you poke that ball? If you drop it to the ground and no Pikachu comes out, you should tell your boyfriend to ask for a refund. Hey, Vegeta! What does the scouter say about his weight-to-height ratio? Aw, you stole my thunder. I was going to post something similar. Jen, I love you to death, but sometimes you make me feel old. This is one of those times. I love the graphics of it, but I hadn’t a clue what it signified. I think this cover is dangerous. I’d accidentally throw it. No, no, you slide it open to consult and compile regional fauna-data. So that’s what your boyfriend got you? So what did he give to your black bull (apart from you of course)?